Sonya Luna is a General Board of Global Ministries missionary supporting Hispanic/Latino ministries in The Michigan Conference since 2008.Sonya Luna has been assigned by the General Board of Global Ministries to serve Michigan since 2008. 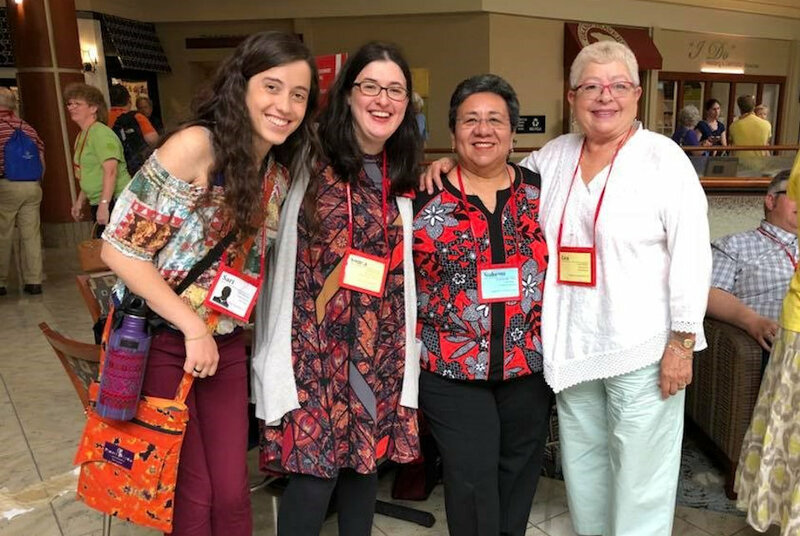 Sonya began her work in the Detroit Conference as a missionary of the National Plan for Hispanic and Latino Ministries. Then in 2013 her ministry grew to cover the whole state. Now her work is done from the Michigan Conference Office of Connectional Ministries. Please share a little of your personal background. I am from Ypsilanti, Michigan. 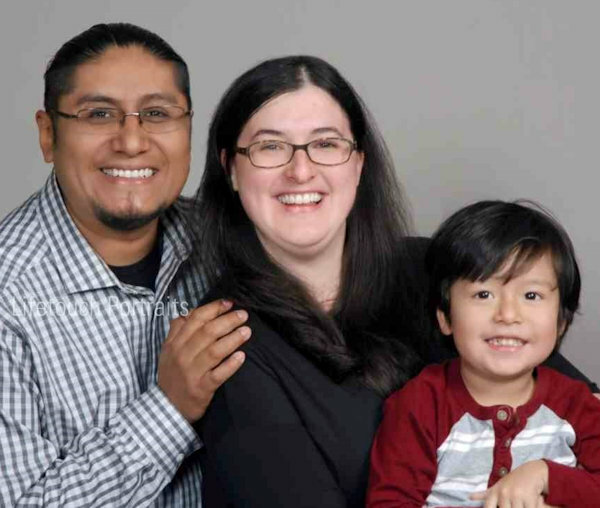 I currently live in Ypsilanti with my husband, Jorge, and our son, Victor. Growing up, I had to navigate what it meant to come from a multicultural background. I am of Polish and Mexican heritage. I still have to navigate that dynamic, being a multicultural, and forming a multicultural, multinational family with my husband, who emigrated from Mexico. However, living out that dynamic has taught me the value of connecting with people of different races, of different cultures, and from different countries. I have a passion for connecting with people and connecting people with resources they need to succeed. One of my mentors is my great-aunt Isabelle Sanchez, who served as the Director of Migrant Ministry Health Inc. in Sandusky, Michigan. She was an advocate for migrant workers and worked as the director for 24 years. Currently, I am following her legacy, as the Missionary for Hispanic/Latino Ministries in the Michigan Conference. Where you’ve served and what lessons of leadership have you learned along the way? I grew up in the United Methodist Church and my home church has always been First United Methodist Church of Ypsilanti. I had the honor to work at Ypsilanti: First as the Coordinator of Hispanic/Latino Ministries for two years, after college. During my time there, I worked with a team of lay leaders to start a Spanish Language Worship Service. I coordinated English as a Second Language Classes and I started a children’s summer program called Camp Amigos. During those two years, I had the pleasure of working with the Rev. Melanie Carey, who continues to be a great mentor, friend, and colleague, and the Rev. Judy Mayo, another great mentor, and friend. From that position, I learned leadership skills, intercultural competency, how to work with people from different cultures with compassion. After two years in Mexico, I returned to Michigan and in 2008, the General Board of Global Ministries commissioned me as a missionary with the National Plan for Hispanic/Latino Ministries. 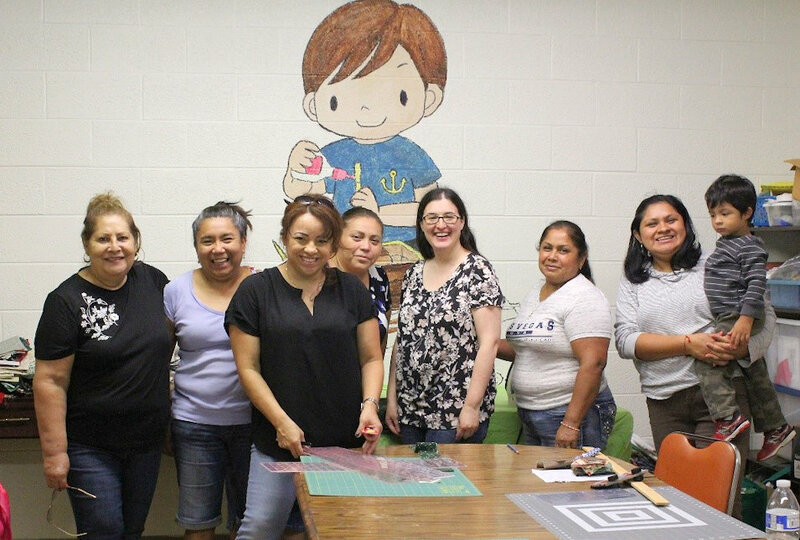 I was assigned as a missionary to the Detroit Conference and worked with a task force to start Justice for Our Neighbors-Southeastern Michigan (now JFON-Michigan), supported the ministries at El Buen Pastor UMC (now Centro Familiar Cristiano UMC), Grace and Peace UMC, Port Hope UMC, and FUMC of Ypsilanti. In 2013, I started working with West Michigan Conference and helped to create a Conference Committee on Hispanic/Latino Ministries. I also began support of the congregation of La Nueva Esperanza UMC and the ministries at St. Johns UMC. In recent years, I helped in the transition of combining the two Conference committees. Our combined committee has worked together in creating a Hispanic Youth Leadership Academy (HYLA) and we continue to support all the ministries and congregations. In my ten years as a missionary in Michigan, I have learned that transformation takes a long time and it takes commitment and perseverance. I am committed to the work of being in ministry with the Hispanic/Latino community in Michigan and there is still a lot of work to do. Please describe your role on the Conference staff as you understand it. My roles is to work with the Conference Committee on Hispanic/Latino Ministries, other conference agencies, conference staff, local churches, and the community to implement a three-year strategic plan which has three areas of focus: Youth Engagement, Multicultural Leadership Engagement, and Community Engagement. What is your vision for Hispanic/Latino Ministries in The Michigan Conference? My vision for the Michigan Conference is for Hispanics/Latinos to play an integral part in all aspects of the conference. As that happens places for spiritual growth and kingdom building will develop. What ministries will you nurture and what issues you will address in 2019? In 2019, I will put major focus on working with Hispanic/Latino youth and the Hispanic/Latino community. We will work with the youth and the community to discover and identify their assets and to understand how to use those assets for kingdom building. I also plan to continue to work with the Hispanic/Latino community and local churches to develop ministries and worshiping congregations. What is it that nurtures, guides, and excites you in your work? What nurtures me in my work is meeting people and learning from them. This work is a team effort and I am grateful to be a part of that team. I experience this in the quilting classes that I am leading at Centro Familiar Cristiano UMC. I am meeting so many wonderful women and I am learning so much from them. They are the ones that are forming a community and supporting each other and the church in many ways. It is a blessing to work with them and share our gifts with each another. What are the challenges you face in your ministry? The biggest challenge in Hispanic/Latino ministries is the prosecution, criminalization, and dehumanization of immigrants, especially immigrants from Latin American countries. What is happening right now in this country is affecting many Hispanic/Latino families. Sadly, I personally know many families hurt by these actions. Our work is to stop these practices and to promote love, justice, and respect for all. Where do you see God working in The Michigan Conference and The United Methodist Church? I see God working in the Michigan Conference and in the work that the Conference Committee on Hispanic/Latino Ministries is doing to support the ministries in the conference. I see God in the work that the committee is doing with the Hispanic/Latino youth. I see God working in the local churches, clergy, and lay people that are advocating for immigrants. I see God in the work that conference leaders are doing around anti-racism. I see God working in the United Methodist Church, guiding us, showing us what it means to be a loving body in this world today. 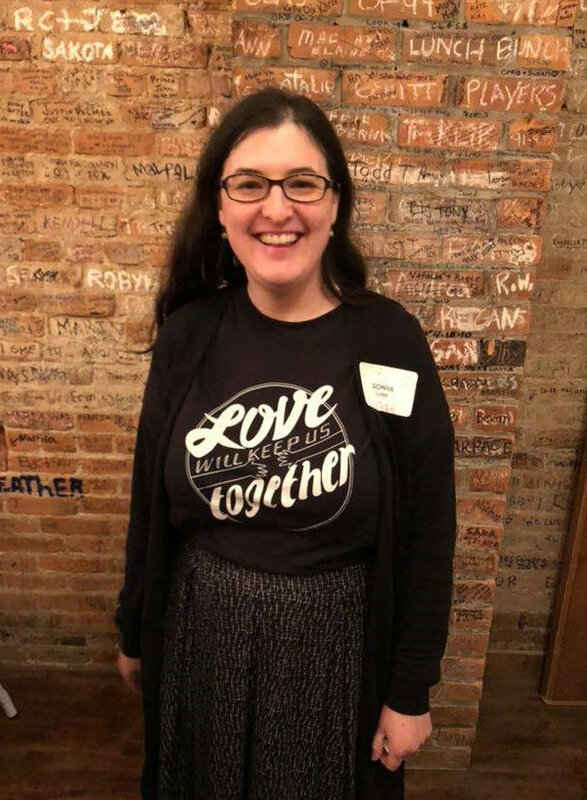 ~ Contact information for Sonya Luna: phone 313-720-6153; email sluna@michiganumc.org; mail 1467 Collegewood, Ypsilanti, MI 48197.